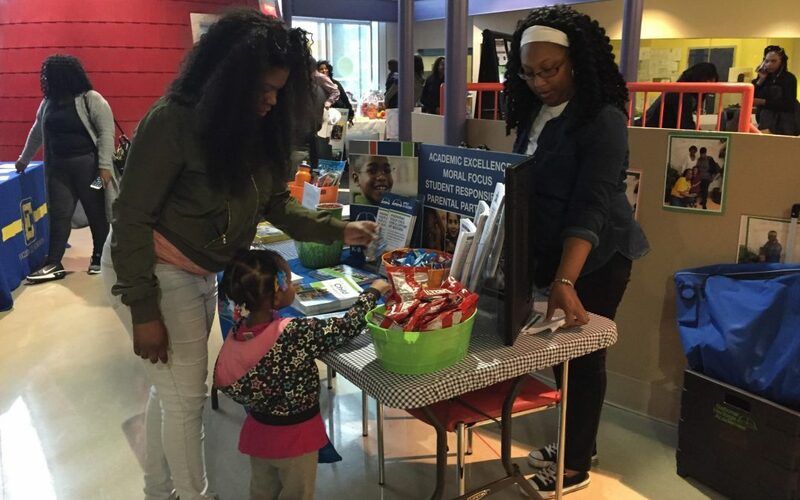 Hundreds of Head Start students across the county are preparing to transition to Kindergarten at the end of the year, so staff at the Council for Economic Opportunities’ George L. Forbes Early Learning Center are making sure parents are aware of their options for next school year. On Wednesday, George L. Forbes ELC held its Kindergarten Round-Up event, where representatives from schools across the area talked to parents and their children about their respective schools. They shared information and answered questions so parents could see what school is best for their families. There were staffers from public, private and charter schools on hand to talk about what they could do for these students and their families. There were representatives from Horizon Science Academy, Euclid City Schools, The Cleveland Metropolitan School District, Cleveland Heights Schools, Collinwood Village Academy, Apex Academy and more. CEOGC staff members who put on the annual event say it’s a great way to open parents minds about what’s out there. It also makes parents aware that they do have options when it comes to their child’s education. In addition to information from the schools, the event also had raffles, snacks and giveaways. It was hard to tell who was having the most fun – the parents or the kids! Thanks to all of our partners for another successful Kindergarten Round-Up!